One year, one couple, 72 pop-up stores. Laura and Gram have just celebrated their 10-year anniversary. 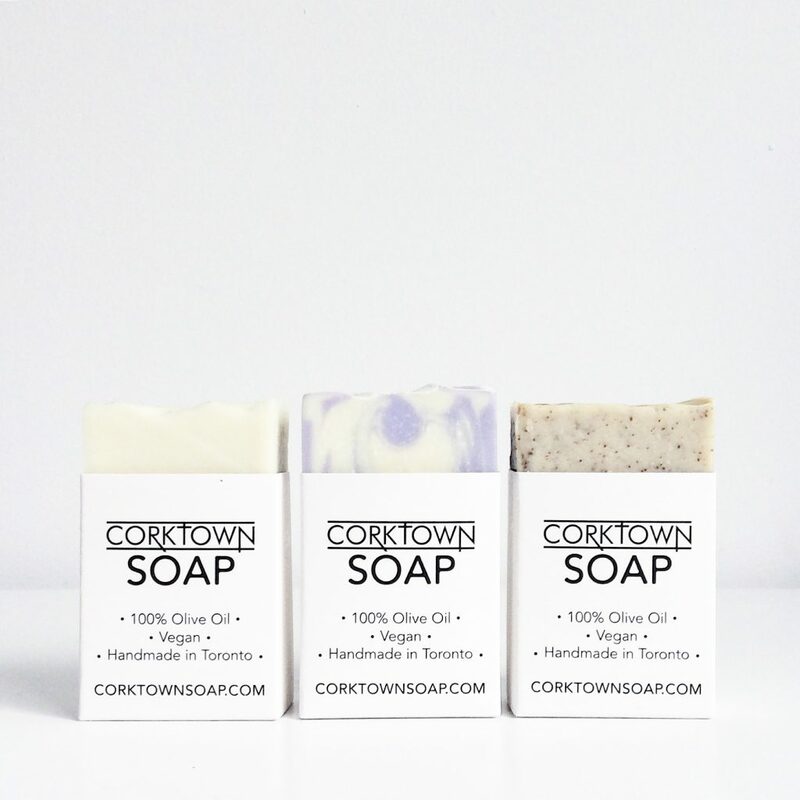 Last summer, they founded Corktown Soap in Toronto to represent their philosophy of using all-natural, cruelty-free, and palm oil-free products. Their company celebrates nature and local businesses. 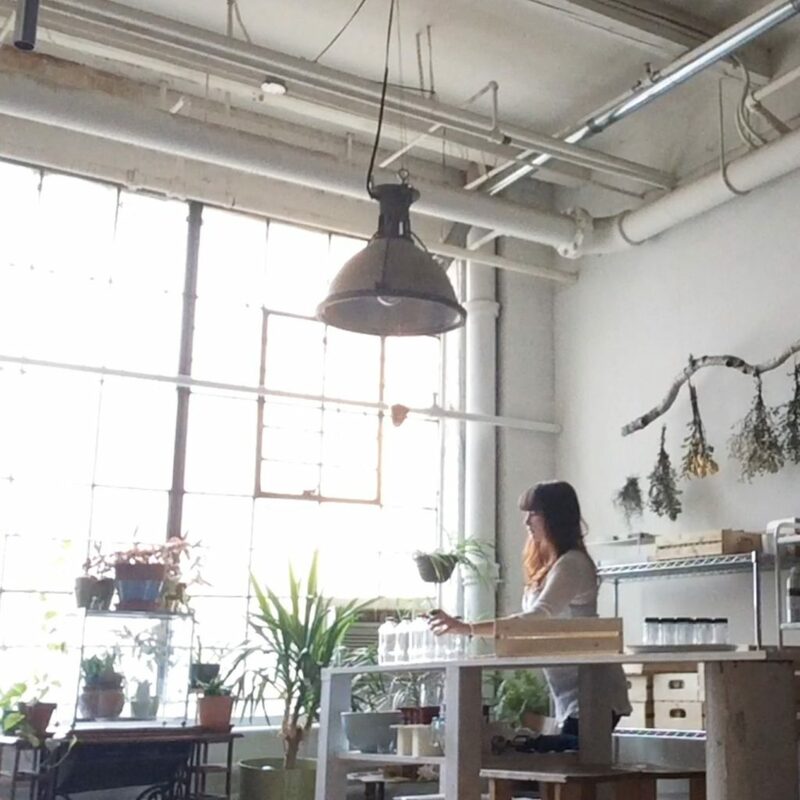 Their local suppliers produce simple ingredients for the eco-friendly cosmetics that Laura and Gram create themselves. Instead of hurting the environment with long-distance shipping, they bring their products to the tables of local Canadian markets. They are certain that there’s a rising demand for an eco-friendly lifestyle in the world. Seems true, as you can find Corktown products at up to five markets per week. 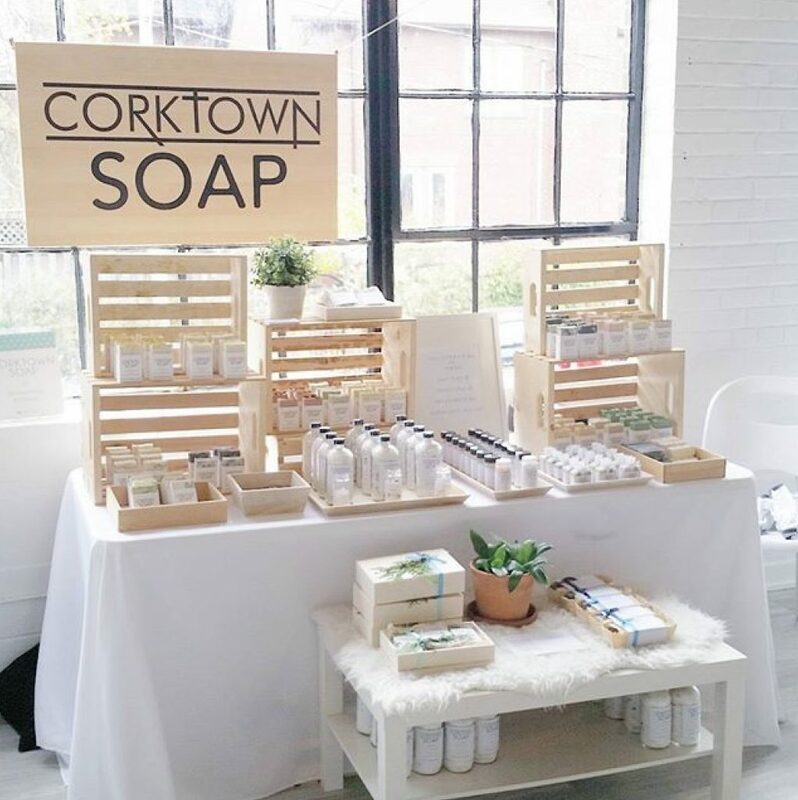 Corktown Soap’s story explains how to develop a prosperous local family business with Ecwid in a year. Gram and Laura are meant for each other, both as personalities and business partners. With 15 years of experience in small business retail, Laura has always dreamed of having her own сompany. She wanted her product to reflect her values. Meeting Gram, who shared her eco-friendly mindset, empowered her dreams. Gram’s degree in marketing and graphic design hit the spot. He runs a Toronto-based graphic design company with a focus on experiential marketing and brand development. But their product idea first emerged from their everyday life rather than being a fruit of their expertise. Laura took a workshop on handmade baby care products. She wanted to start a PostPartum Doula service for new moms (by that time, she had completed her training.) Then there were 8 months of practice, and soon she loved what she was making. Laura decided to add her eco-personality to the recipe. Gram supported her. A sterile lab is required for preparing any body care products using liquids. The couple wanted to keep it simple, so you will only find dry goods in their store: soaps, dry shampoo, and bath soaks. Their own organic garden in Corktown. Neighboring businesses like a restaurant where they get coffee ground. All sources meet two requirements: they are local and of high quality. Gram and Laura require detailed information about the ingredients they use and control all of the processes to make sure they meet their standards. We strive to keep our recipes as simple as possible — even if it means a little extra work on our end. 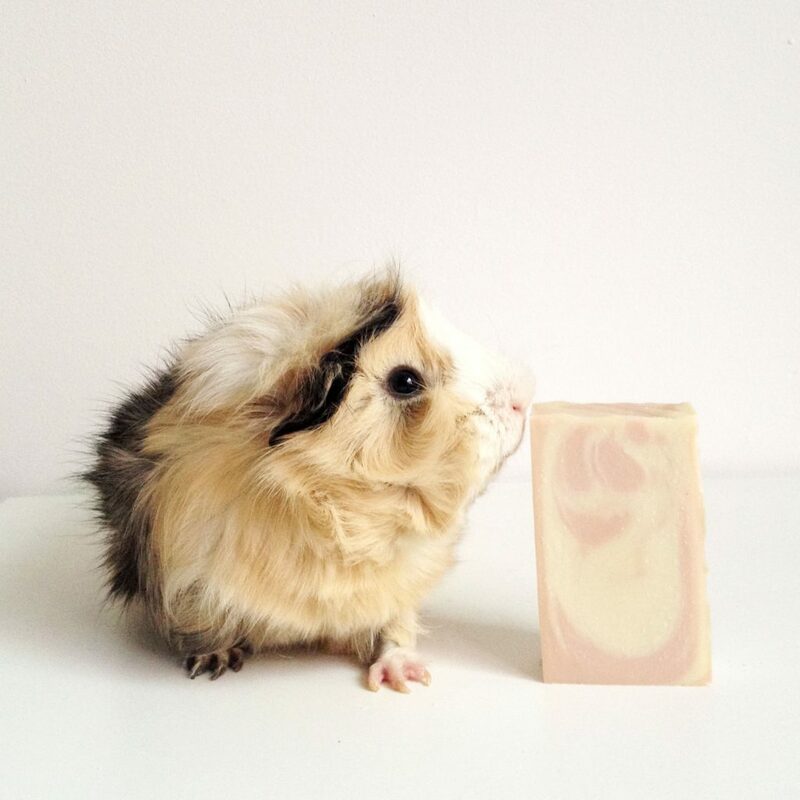 This couple strongly believes that every step towards a cruelty-free lifestyle is awesome, and they encourage people through education about the use of vegan and cruelty-free products. They say that shaming people for their choices only discourages them from exploring veggie-friendly options. Nothing like that movie plot, though — for Laura and Gram it was the launch time. Business owners always brightly remember bracing themselves for that moment. From working retail for so many years, I’m just so darn excited to actually be selling my own products that I love, Laura shared. At the same time, they knew it wouldn’t be without challenges. Launching our business is definitely not what we would call easy! Finding out where to sell: balancing the cost of rent, or vendor fees vs. sales. Developing a community on social media. Looking back on the launch, Laura says it was a really fun challenge that taught them a lot. Their sales started offline and were followed by a beautiful Adobe Muse website with Ecwid embedded. They chose Ecwid for its features and reasonable pricing, and even customized it through writing custom CSS injection. It seems great, it serves our purposes very well, the couple сonfirmed. Ecwid helped them get their online and offline sales together. We run all of our payments through Square because we also use that system for our physical POS. Keeping one system across our entire company keeps booking simple and gives us very organized analytics. Offline sales mostly happen at markets, so Gram and Laura simply grab their iPad and accept both cash and credit cards. Refining their product line and improving the website was their first-year focus. Now they are going to push their web sales further. 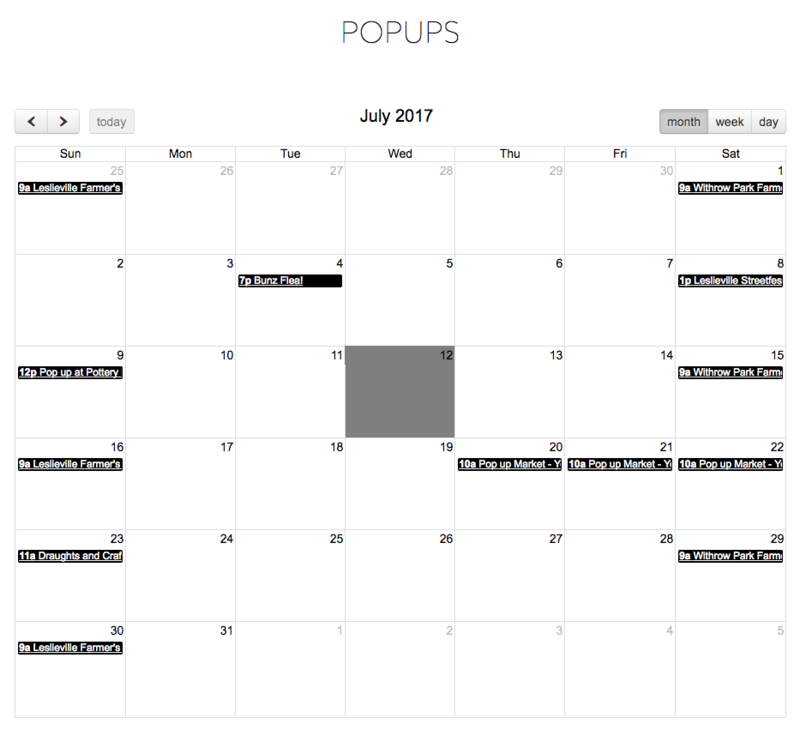 Their pop-up schedule is impressive. Gram and Laura are sure that working as a pair helps a lot to overcome busy months. They take care of each other to make sure both of them stay healthy and happy. Markets are a great source of entrepreneurial experience. Based on their experience, the couple prepared a how-to for taking part in a market. Fill in an application in advance. You are usually asked for links to your website, social media accounts, and photos of your products. Pay the fee. If you are accepted, you are usually then prompted for payment. The markets can cost anywhere from nothing to thousands of dollars (like for the big One of a Kind Show). Get plenty of product. These guys always make sure they have enough product on hand well in advance (the soap usually takes 4 weeks from when they make it to when they can have it fully cured and ready to sell at the market). Ask a lot of questions. Even if it might seem like you are bothering the organizers, it is so much better to arrive on the day of the market super prepared. Things that people often forget about are parking, wifi connections, location of washrooms, accessibility. Promote the event. You are expected to do it as soon as you sign up. Laura and Gram’s focus so far has been promoting through social media, specifically Instagram. Bring your own equipment. It is true for tables, chairs, display fixtures, payment processing, etc. Don’t forget to charge your laptop/iPad. Decorate your booth. Corktown Soap’s merchandising aesthetics is very tight across the brand. Their booths are decorated with unfinished wood and lots of white, and they keep them super clean and well organized. Display POP materials. Laura likes to ensure there are lots of POP materials so customers can get lots of additional information while they are shopping. They promote their other events and retail partners. Apart from markets, the couple is exploring options with regards to workshops. Gram and Laura don’t limit themselves with online and in-person sales. They also constantly look for distributors. One of them even included their products in a gift box. Instagram has been the best way for us to connect with our community. We’ve connected with other soapmakers, customers, retail partners, and bloggers, and it’s a great way to share ideas and collaborate on projects. Most partners simply email them. Laura says they are lucky to have so much support from retail businesses in their community. Staring at their irresistible Instagram, I doubt that it’s only luck that lured those partners. Speaking of irresistible imagery, Laura does it all herself. She believes great photography is not about spending a fortune. Though she admits that her background in art and design helps to understand colors, light, shadow, and composition. Shoot in RAW to avoid pixelated images. Use natural light on cloudy days. Get creative with papers from craft stores for your background. Don’t over-Photoshop. VCSO and Instagram filters offer really great, free photo editing. Laura and Gram don’t see any struggles about being both life and business partners. Working together helps balance their strengths and weaknesses. It makes it possible to do all of their production in-house. Needless to say that all the income goes to their household, only shared with two adorable guinea pigs, Snickers and Caramel. They also know they are in a great industry. People are starting to learn more about the harmful ingredients in common drugstore products like shampoo, deodorant, soap, and lotions, so they are beginning to seek alternatives. The opportunities are endless. The most helpful thing I read when I started this business was, Don’t compare your start to someone else’s middle. The other important thing is the ability to constantly adapt and change, says Laura. Especially at the beginning, listen to your customers, your colleagues, your family, your peers. This early feedback is so important and so valuable. Just go for it — there are a lot of people starting small businesses, and it’s really great to network and support each other!